Weavaway Travel Fleet List: The first two Eclipses have arrived registered RX06 WPP/R. Thanks to Derek Bradfield for this. Reading Transport Fleet List: 515 has returned to Reading from loan to Newbury. A third OmniDekka to arrive today was YN06 JWG, presumably 823. Thanks to Derek Bradfield for this. 472/4-6 have also received the latest Directline.com MegaRear, replacing the Chicken Little MegaRears on 472/4/6. 118 lost its Vodafone Hot Properties (Going.. Going...) MegaRear at some stage before 25th March. 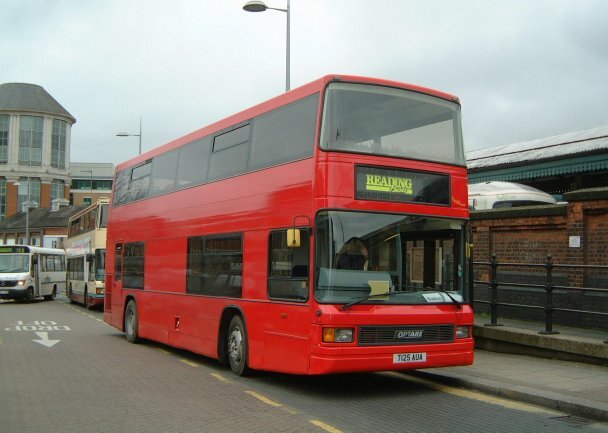 News Page: Latest Quality Routes Commence with photos of 2001, 2002, 2001, 313, 469, 1013 and Thames Travel S725 KNV. Thanks to James Cusworth for the photos of 1013, 2001, 2002 and S725 KNV. Thames Travel Fleet List: Dennis Dart / Plaxton Pointer S725 KNV has been added to the fleet, possibly on short term loan pending the new Scanias. Thanks to James Cusworth for this. Reading Transport Fleet List: Arrivals on loan are Optare Spectras T124/5/7 AUA from Dawson Rentals which are to be given temporary fleet numbers 2000-2. 2000 and 2001 are expected to enter service tomorrow. Also the first two Scania OmniDekkas have arrived - 820 and 822 registered YN06 JWD/F. These are also not expected to be ready to go on the road tomorrow. Thanks to Brian Coney for this. Stagecoach in Oxfordshire and Warwickshire Fleet List: 34467-69 and 18394-99 have been branded as expected, although the branding on 34467-69 has a few items left to be added at a later date. Oxford Bus Company Fleet List: 819 has been repainted into City 15 livery, whilst loaned 898 and 899 have received "Abingdon - Oxford direct" branding ready for entry into service tomorrow. Coaches 9, 10 and 12 were put into reserve following the service changes to the X90 on 29th January and passed to the recently acquired Birmingham Coach Company for National Express work on or around the 24th March. 612 has been withdrawn whilst a decision is made regarding its future following a minor fire in its engine compartment. Reading Transport Fleet List: The exMetrobus Dennis Tridents anticipated to be on loan from East Lancs pending delivery of the OmniDekkas have apparently been substituted for exLondon Optare Spectras, at least one of which is currently being prepared for service. Meanwhile a small number of the new OmniDekkas have also been delivered and will enter service next week. First Berkshire Fleet List: 42643/4 have been repainted into a new Legoland livery to replace 42412 and 64814 as the regular vehicles on the Legoland shuttle. Previously they were in First corporate livery. 42414 and 64814 are likely to remain in Legoland livery for the time being. Thanks to Mat Wooll for this. 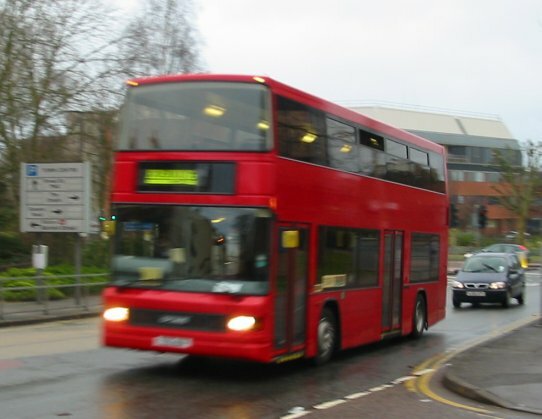 Reading Transport Optare Excels: 916 received Bright-Tech LED displays between 13th and 20th. Thanks to James Cusworth for this. Stagecoach in Oxfordshire and Warwickshire Fleet List: Oxford 34467-69 are receiving X30 branding tonight, whilst 18394-99 will receive route 27 branding on Sunday. Three Optare Solos are expected to be ordered for Oxford following recent tender wins from June. Reading Transport Fleet List: Delivery of the OmniDekkas has been delayed because East Lancs are currently very busy with work. Only 2-3 are expected to be delivered next week, so East Lancs have hired five ex-Metrobus Dennis Tridents that Reading will use on daytime services in the town to free up quality buses until deliveries have been made. The OmniDekkas will enter service as they arrive, with an official launch at a later date. Thanks to Sam Simpson for this. 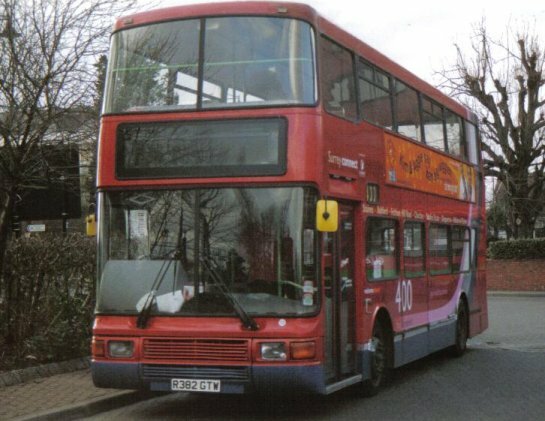 Reading Optare Excels: It is confirmed that 901-10 are to join their sisters with Ritchies in New Zealand. They have been pleased with the two deliveries last year because they suit their type of operation and because their light weight has road tax advantages there. Thanks to Sam Simpson for this. Weavaway Travel Fleet List: Three Volvo B7RLE / Wright Eclipse are on order for delivery this month. The two Bova Magiqs also due this month are to be registered WA06 GSU/V. Thanks to Derek Bradfield for this. 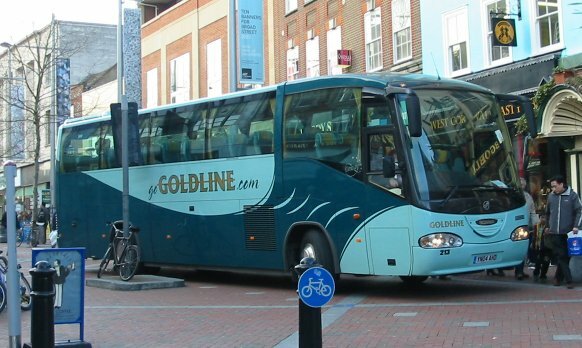 Baileys of Newbury Fleet List: T862 JBC has been withdrawn and replaced by LV02 LLN, another Iveco Eurorider / Beulas Stergio 'e' from Redwing. Thanks to Derek Bradfield for this. Burghfield Minicoaches Fleet List: New in February was Renault Master X821 HJB. Thanks to Derek Bradfield for this. 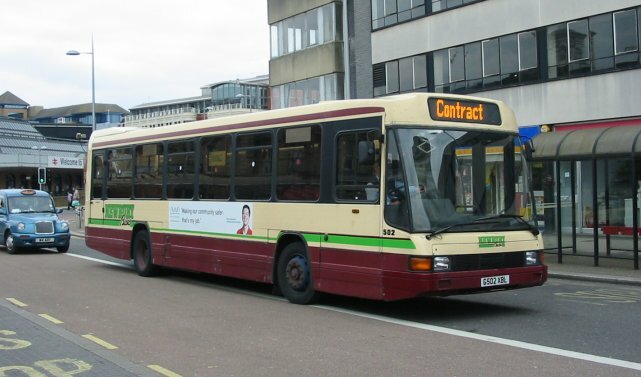 Oxford Area Bus Routes: Changes to Oxford Bus Company route X3 from 26th March, and other minor changes from other operators on 02-04-06, 09-04-06 and 07-05-06. First Berkshire Fleet List: The three further Darts due for the Pegasus project are to be registered LK06 BWB-D. Thanks to Mat Wooll for this. Stagecoach in Oxfordshire and Warwickshire Fleet List: 34467/8 have lost their route X4 branding. The now recently unbranded trio 34467-9 are to be branded for new route X30 from 26th March. 20812 is confirmed as the fifth vehicle to have gone to Stagecoach West earlier in the month, with 20805 and 20820 being the two undergoing engine repairs. The registrations shown on the fleet list for 19398/9 have been corrected to TLY/Z (not X/Y) - matching what was correctly reported on the February Updates page. News Page: New home for exCourtney vehicle R382 GTW. Thanks to Andrew Millwood for this. 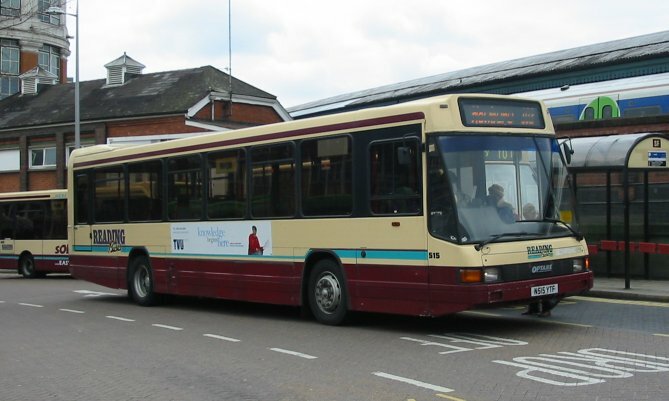 Reading Transport Fleet List: 201 remains for sale, with an advert currently on the Ventura website. Excels 901-10 are due to depart this week, however no extra vehicles are expected to help cover until the new OmniDekkas enter service on 27th. Stagecoach in Oxfordshire and Warwickshire Fleet List: 34469 has lost its route X4 branding in preparation for 26th March service changes, the others from the batch will also be treated shortly. Meanwhile Stagecoach West appear to have allocated former 20203-5 to Swindon depot. 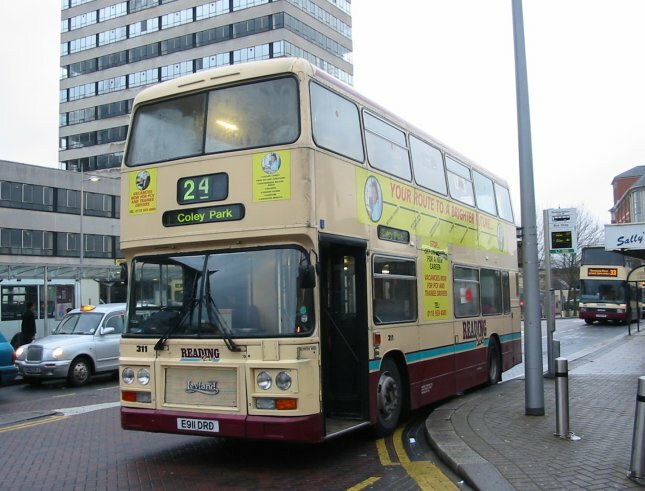 Reading Transport Fleet List: 624, 627 and 629 have passed to Ensign (dealer) for sale. Exact withdrawal dates are still to be confirmed. Courtney Coaches Fleet List: W289 EYG has been returned to Dawsons Rentals, whilst Y831/2 HHE are to be returned to Burgundy off lease next week. X854 VAF (previously X9 CCL) has also been sold and Y812 KDP is for sale. Thanks to Derek Bradfield for this. Weavaway Travel Fleet List: YN06 CVF is C33F. Dennis Condor B10 MWA which passed to Bob Vale (dealer) on a sale-or-return basis has been returned to Weavaway and has subsequently passed to Ensign (dealer) along with B10 MWC. Meanwhile Condor B10 MBD also returned but passed to Southdown PSV (dealer). Thanks to Derek Bradfield for this. Weavaway Travel Fleet List: S222 AJW has been repainted into a purple livery. Thanks to Derek Bradfield for this. 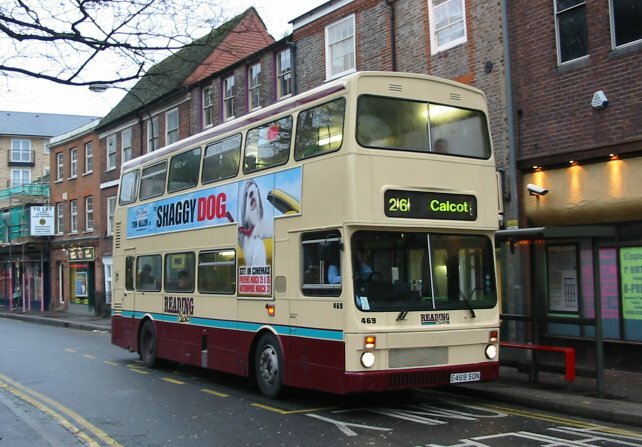 Stagecoach in Oxfordshire and Warwickshire Fleet List: 20805, 20812 and 20820 are confirmed as the last three B10Ms withdrawn for imminent transfer to Gloucester for Dukes Travel. As previously reported one should already have departed, the other two are to receive some mechanical attention first. Stagecoach in Oxfordshire and Warwickshire Fleet List: Four Tridents are expected to enter service at Nuneaton from 23rd April, three being branded for route 157 and one unbranded spare. From the same date 34627/8 are to loose their 56/57 branding and receive branding for route 48 along with unbranded 34625/6 to allow the Nuneaton - Coventry section of this route to be increased to every 10 minutes. Two B10Ms displaced from the 157 will receive 56/57 branding in place of the Darts. Lastly 13631 H492 LNA is at Nuneaton from Stagecoach South and is expected to be used as a second spare vehicle for Megabus.com services. Thanks to Tim Moss for this. Stagecoach in Oxfordshire and Warwickshire Fleet List: All seven of the new Oxford Tridents are now in service, whilst 20004-5 are now confirmed at Banbury, and 20006 is also very likely to be there as well. 20203-5, 20694 and one other should now have departed to Gloucester for Dukes Travel. 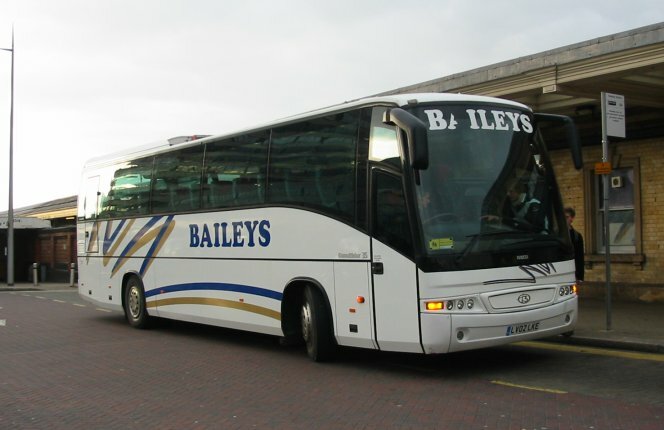 Weavaway Travel Fleet List: New is Plaxton Cheetah YN06 CVX. Thanks to Ken MacKenzie for this. Stagecoach in Oxfordshire and Warwickshire Fleet List: 18399 was delivered to Oxford yesterday, whilst the first of the batch entered service today. Banbury 20203-5 are shortly to be withdrawn replaced by 20004-6 from Oxford. Oxford 20694, 20805, 20812, 20820 will also be withdrawn once all of the Tridents have entered service. The seven withdrawn vehicles are to transfer to Gloucester. Of these 20203 and 20694 were withdrawn today whilst 20805 and 20812 are also unlikely to see further service before transfer. Witney 20541/2 are shortly to be swapped with 20007-8 from Oxford. 20009-11 are to follow them following the 26th March service changes to replace an undecided combination of Darts/Varios and allow full B10M operation on the X1/X2. 22926 has lost route 7/7B branding in favour of plain route 7 branding following a recent repaint. 22927-9 are to be similarly treated in the coming weeks.